Aizawl FC miss a huge chance to consolidate at the top of the table. . . 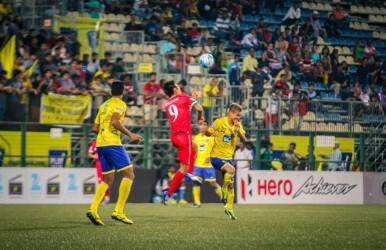 The Warriors Minerva Punjab FC hosted the highlanders Aizawl FC in the fourteenth game week game of the ongoing Hero I-League game before the International break. Mahmoud Al-Amna (43′) opened the scoreline and Kamo Bayi (56′) doubled the lead before the drama unfolded at the Guru Nanak Stadium. Loveday (61′) pulled one after the hour-mark and Kareem Nurain (81′) levelled the scoreline for the hosts. 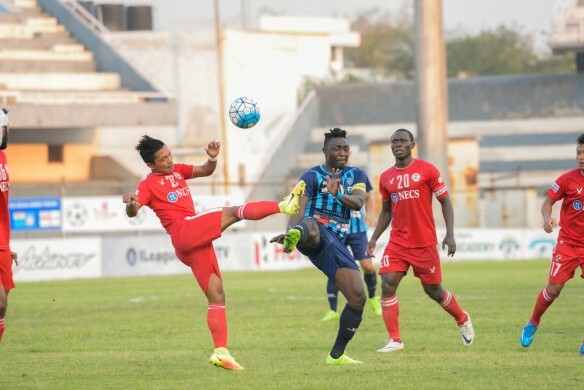 In the first half of the game, Minerva Punjab had more possession of the ball and Aizawl FC struggled to capitalise on their opposition follies. Aizawl FC brought in their Under22 player Lalthamika in place of Kingsley who is undergoing suspension at the moment. Aizawl FC broke the deadlock in the first half after Jayesh’s through ball found Al-Amna who slotted home the goal for the visitors. In the second half, Aizawl FC came up much stronger and more organised with Al-Amna and Alfred Jaryan dictating the play in the attacking third. Aizawl FC utilised their set piece well from their dead ball specialist Jayesh Rane and found Kamo Bayi who made no mistake to put the ball past the Minerva Custodian Arnab Das. 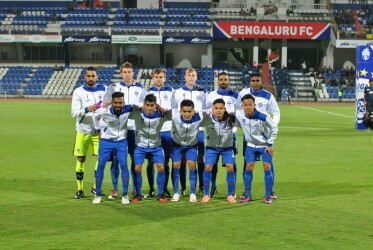 Host Minerva Punjab FC came back into the game in the last quarter after Kareem’s set piece was put into the goal by Loveday leaving Albino Gomes frustrated. Minutes later, Kareem scored a brilliant free-kick to deny the visitors three points. 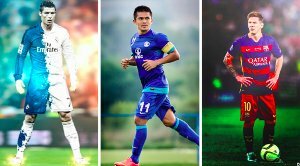 following the draw, Aizawl FC have 30 points from 14 matches whereas Minerva Punjab FC have bagged 12 points from an equal number of matches. 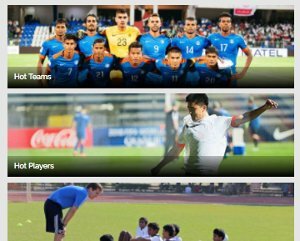 Minerva Punjab FC play their next fixture against Chennai City FC on April 8 while Aizawl FC face defending champions Bengaluru FC in Bengaluru.